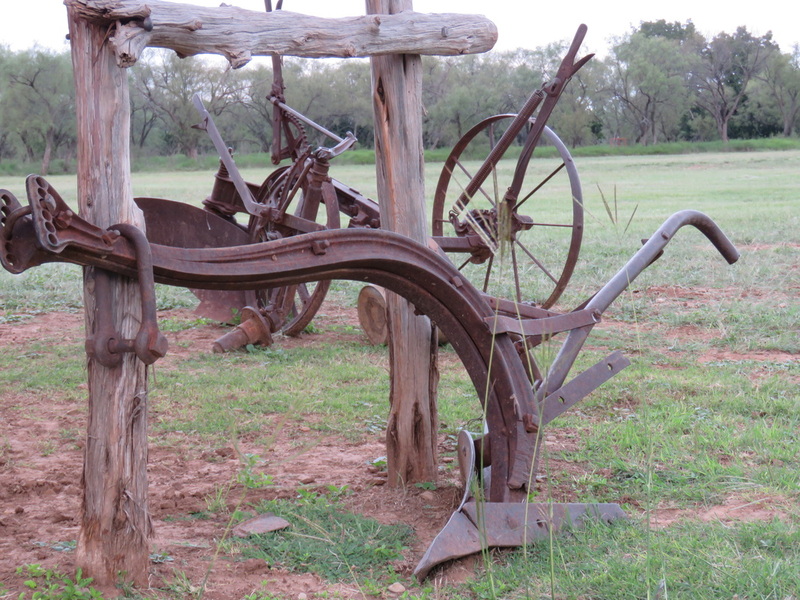 In September, we spent a week in Texas visiting with great friends, Bob and Debbie Lusk, and had the opportunity to see other homesteads in a variety of places. It is always a wonderful experience to see how others are living off the land, gardening, and farming. 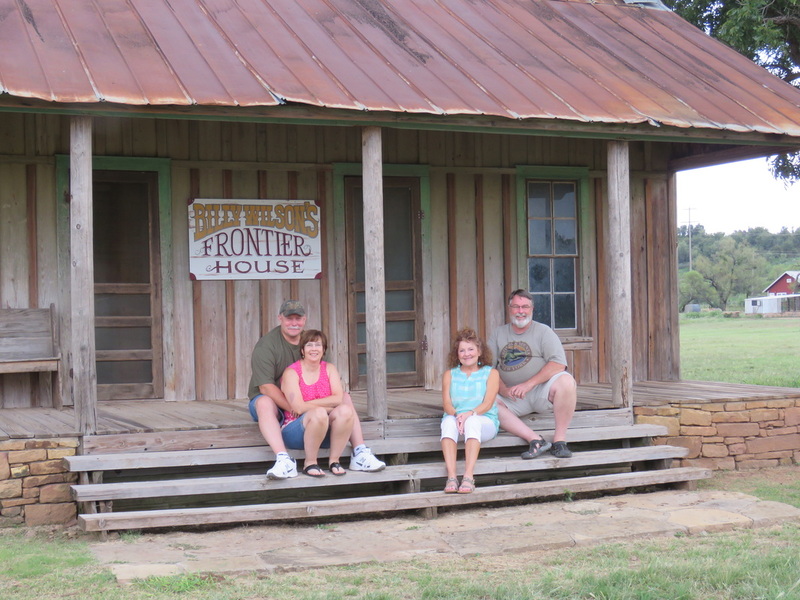 On this trip, though, we had the unique opportunity to visit an authentic old homestead, like stepping back in history. Standing on the same land where history was made, puts things in a unique perspective. 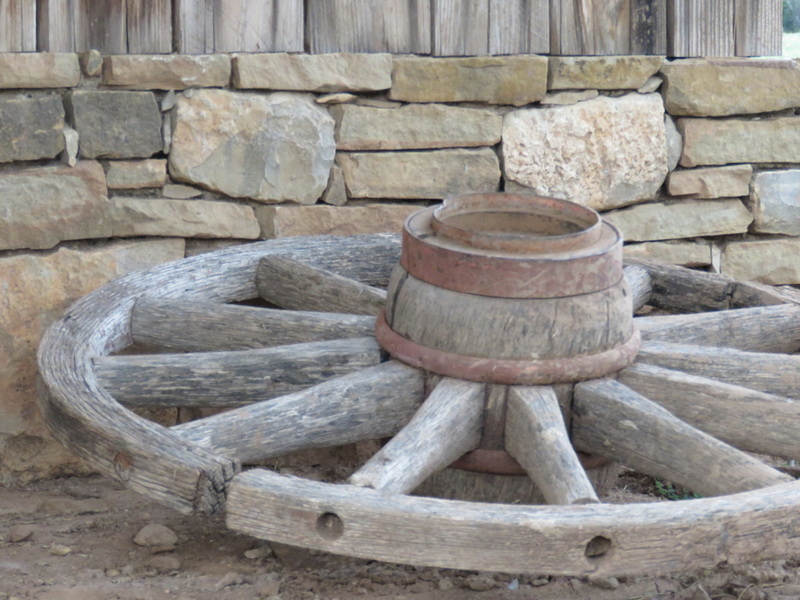 Wagon trains, cattle drives, an original log cabin built by hand from materials on-site in the late 1800’s that was being lived in until the 1980’s with no modifications. Stepping back to a time when life was hard, but simple. A time when family was at the center of each person’s life and God and country were spoken about with respect and without reservation. 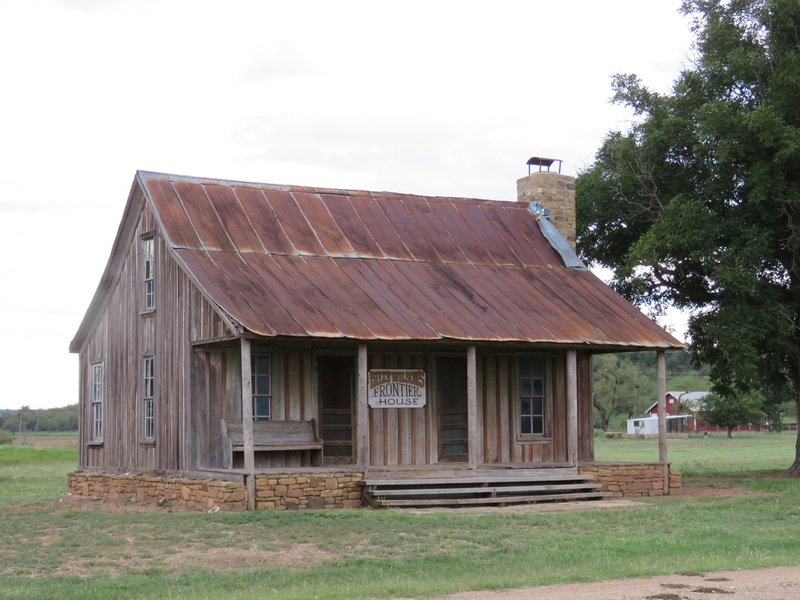 Established in 1884, this homestead was inhabited until the 1980's in its original condition (no water, no electric or any other type utilities). Photos to the left show fireplace in main room and cook stove in kitchen. The only other room was a bedroom in the back, connected to the kitchen and the main living area. 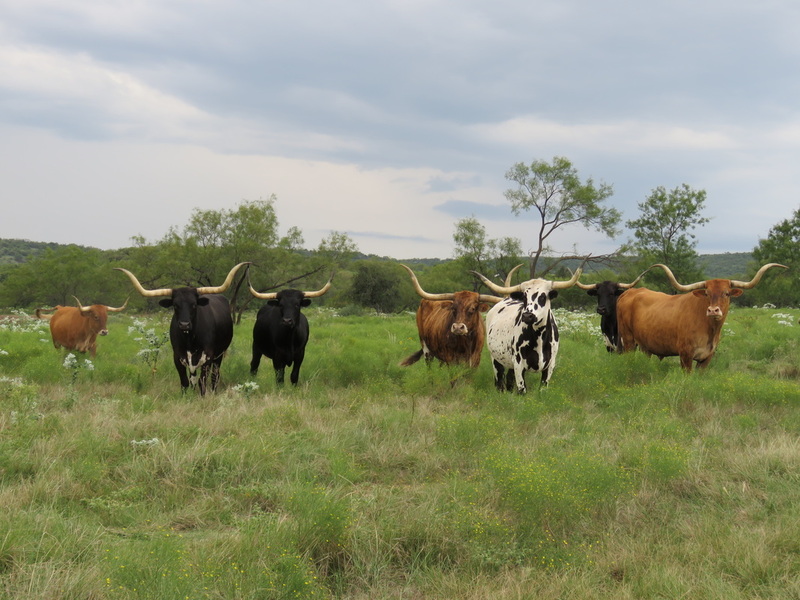 Of course, if your in Texas, you gotta see Longhorns! While eating our way across the western part of the great state of Texas, we happened to stop in Granbury, TX. A quiet town that looks like it stood still in time. In the center, a big town square, with small shops and an old Opera House around the perimeter. We lazily visited shops, as we worked our way around the square in the heat of the day. 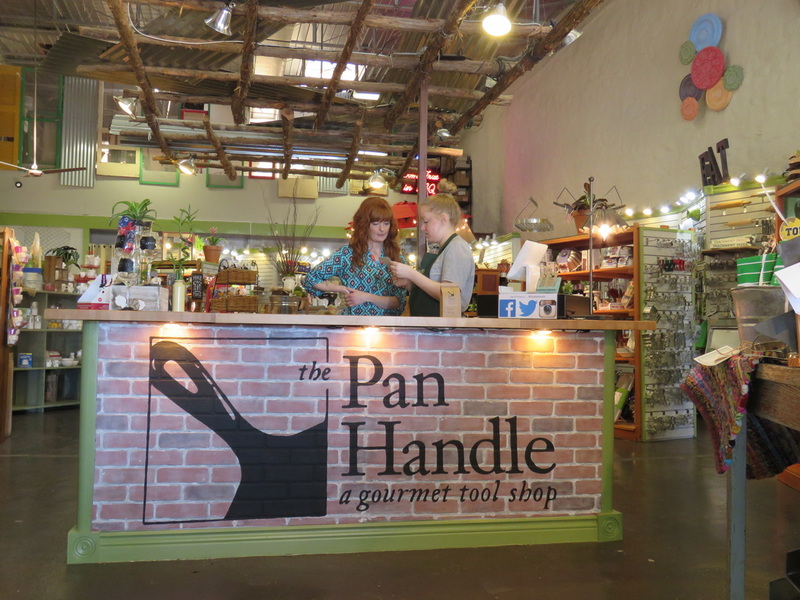 We ventured into The Pan Handle, a quaint little shop, filled with gourmet fair trade coffee beans, kitchen tools and gadgets, cookie cutters, etc. But tucked away on the side of the store, was a hidden treasure of homemade pickled goods, jams, jellies and more. Upon speaking with the woman at the front of the store, Sara, about the line of homemade goods, we discovered that she is not only the owner of the store, but is also the creator of the beautiful handcrafted foods. Sara, was a delight to speak with as she enthusiastically told us about her gardening, her homestead, and her store. Many of the displays in the store were also handcrafted by herself. A pioneer woman, for sure, who’s energy lit up the room and was contagious. 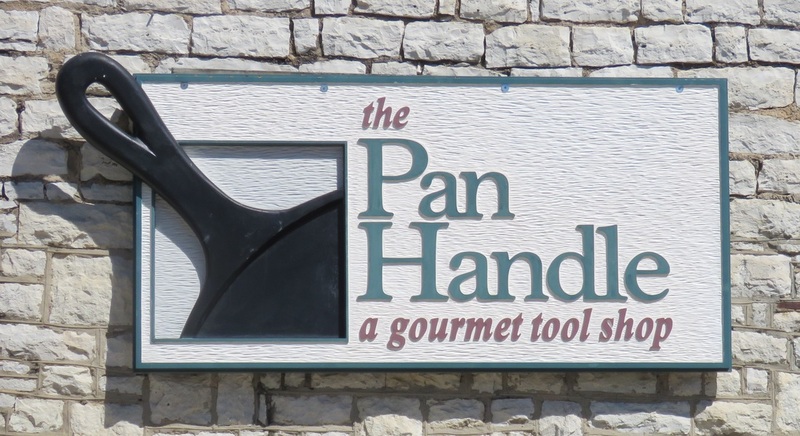 If you are ever in Granbury, TX, I highly recommend you stop by The Pan Handle for a visit. If you can’t make it there in person, you can visit them on-line at www.the panhandle.com. 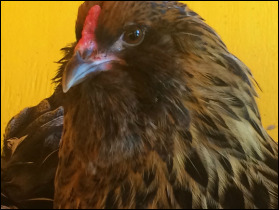 Sara has kindly shared some of her down home cookin' recipes with Wild Heart Mustangs™. Stay tuned for more recipes Texas style in upcoming issues of Wild Heart Mustangs™. Sara is a Granbury, TX native who grew up, and still resides on, her family farm. Sara learned to cook at an early age with her mother and grandmother, and has been canning fresh produce from her family's garden all her life. This tradition inspired her to create Olde Homestead Company, a favorite brand of authentically crafted jams, jellies, salsa, pickles, relishes and so much more. Sara, and her husband J., continue to pass these heritage traditions along to their three children. 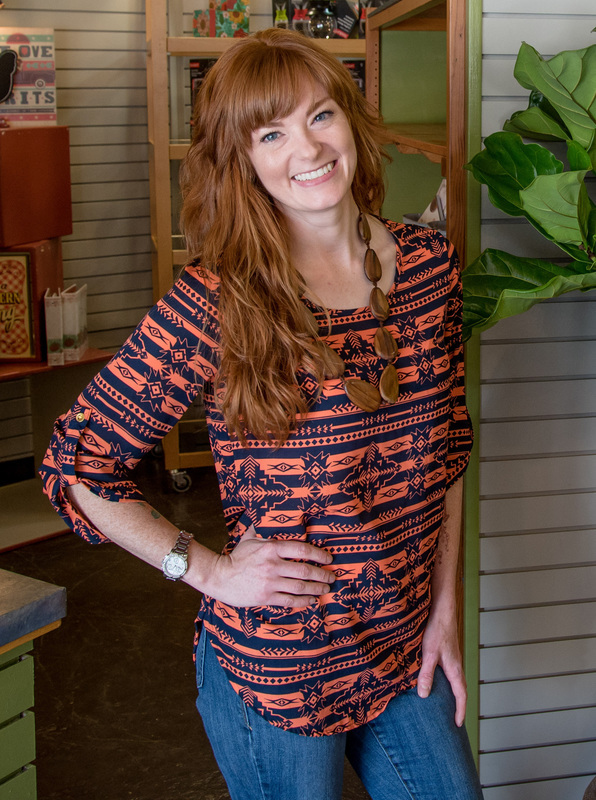 Beginning by presenting her hand-made products at local fairs and festivals, Olde Homestead Company grew into a full-fledged business. 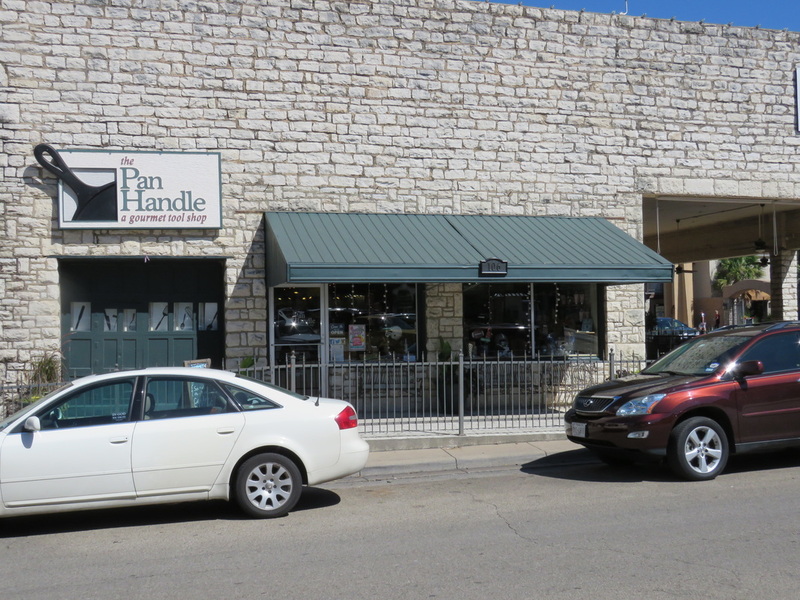 Sara's handcrafted wares caught the eye of local Granbury kitchen specialty shop, The Pan Handle, located on the Historic Granbury Square. These delicious jars of goodness soon became a favorite among patrons of The Pan Handle. Sara Miskovic, Owner of The Pan Handle and creator of the Olde Homestead line of jams, jellies, pickles, salsa and more. My grandmother made both of these recipes for our family when I was growing up, and my family still makes these two favorites quite often. ​In the years after World War II, thrifty recipes that helped housewives "stretch" their meat budget were very popular. This recipe is from 1947. Saute onion, garlic green pepper, seasonings and 1/2 cup of the corn in drippings for 5 minutes. Add half this mixture to the eggs, meat and crumbs; stir till well blended. Shape into balls with a cube of cheese in the center of each. Brown in frying pan, using additional fat. Arrange with the rest of the corn, heated and seasoned. (Or serve with optional sauce below). Return the remaining half of the sauteed vegetables to frying pan with flour; blend well. Stir in tomato sauce and boullion. Cook till smooth, stirring occasionally. Serves 6. In a large saucepan, combine carrots, peas and corn. Cover with 2 cups of water and boil until vegetables are pretty tender, but not all the way cooked (about 8-10 minutes). Drain and set aside. Preheat the oven to 375 degrees F and start working on the crust. In a small bowl, combine flour and salt. Stir. Cut in the shortening with a pastry cutter or two knives until the shortening is in small pieces throughout the flour. Slowly add the water and knead the dough just until combined. For the dough into a ball and wrap in plastic wrap. Set in the fridge while you finish the filling. Chop the onion and mince the garlic. Combine the onion and garlic with the butter (in the same saucepan you used for the veggies) over medium heat until onion and garlic is fragrant and tender. Add in 1 ¾ cup water, 2 tsp of tomato bouillon cubes, pepper and salt. Stir and slowly add in the flour. Add in the milk and add more or less depending on your desired thickness. Stir and then let simmer on low for about 3 minutes. Stir in the veggies and cut up ham. Once the veggies and ham are coated in the sauce, pour the mixture into a pie pan. Layer 2 cups of mashed potatoes on top. Pull out the dough from the fridge and roll it out. Top the pie with the crust and cut slits in the center and top. Crack an egg and discard the yolk (or save for another recipe). Lightly beat the egg with a fork and then brush the egg white over the top of the crust. Place the pot pie on top of a large baking sheet and place in the oven. Bake the pot pie in the oven for 30-35 minutes. Remove and let cool before serving. ​Useful on all animals. Situations for use include when there is a need to be spiritually uplifted, while at the same time grounded, when a feeling of protection is needed, or when an animal needs to feel strong and empowered in their own life. 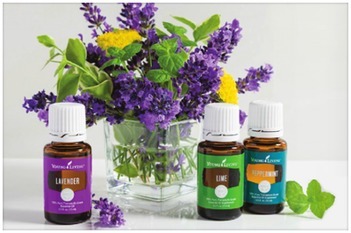 Many cats love this blend. Diffuse on a cotton ball and place within a cat's carrier for a car ride. Spruce (Picea mariana) opens and release emotional blocks, fostering a sense of balance and grounding. Idaho Balsam Fir (Abies balsamea) has been researched for its ability to kill airborne germs and bacteria. 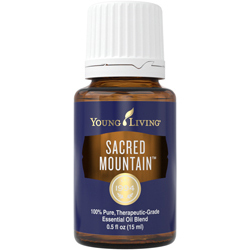 As a conifer oil, it creates a feeling of grounding, anchoring, and empowerment. Cedarwood (Cedrus atlantica) is high in sesquiterpenes, which stimulate the limbic part of the brain, the center of emotions and memory. It stimulates the pineal gland, which releases melatonin, thereby improving thoughts, cognition, and memory. Ylang Ylang (Cananga odorata) increases relaxation; balances male and female energies. It also restores confidence and equilibrium. 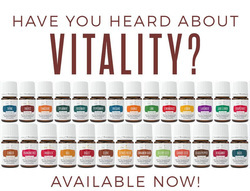 - Apply to crown of head, back of neck, behind ears, on thymus and wrists. - Add 2 drops to a wet cloth and put in clothes dryer. Ingredients: Spruce (Picea mariana), ylang ylang (Cananga odorata), Balsam fir (Abies balsamea) and cedarwood (Cedrus atlantica).